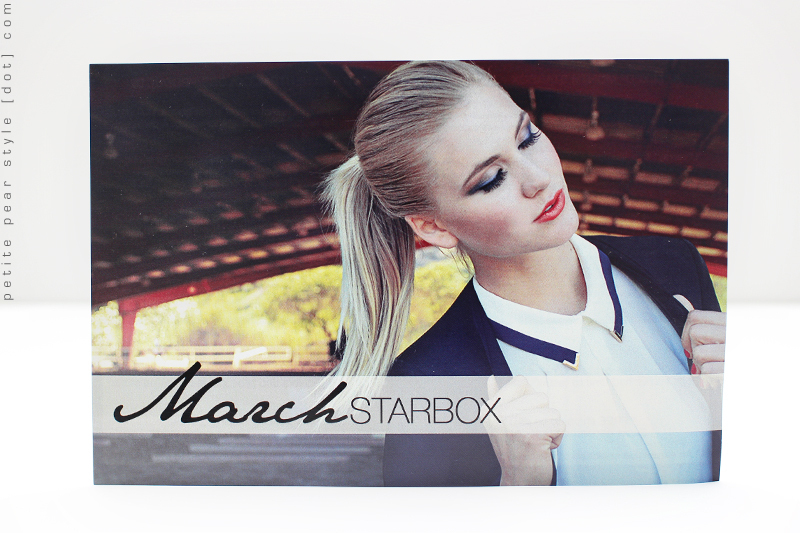 The theme for the March 2013 Starbox was Blue... let's see what was inside! Loved the box this month - it was a craft paper colour with a blue logo... it was tied with a rose gold / copper elasticized ribbon. The lovely makeup look that was previewed on the Starlooks website! 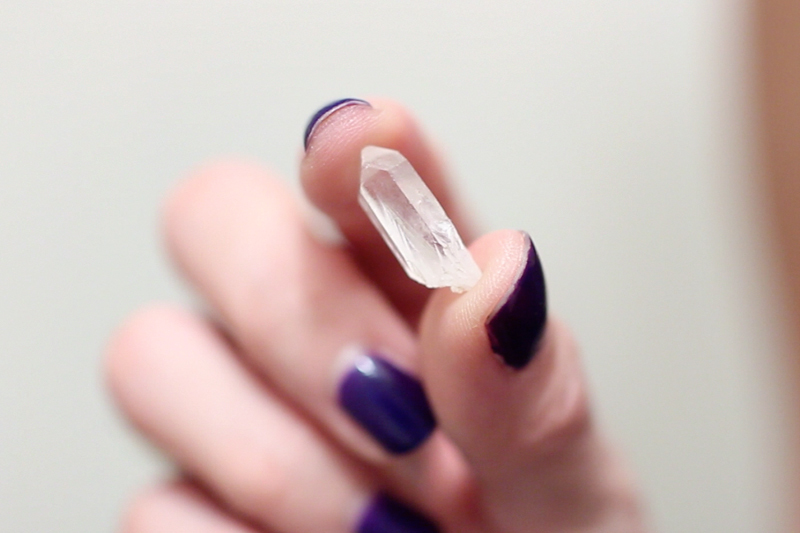 Starlooks provides us with quartz crystals in every Starbox (except December 2012). They are supposed to attract energy and help maintain focus. The other idea is that subscribers can collect them in a glass jar to eventually build a brush holder. I've never tried a prepared lip scrub as I usually just mix my own on the spot (a little olive oil & a little white sugar) so I'm excited to feel the texture of this product. 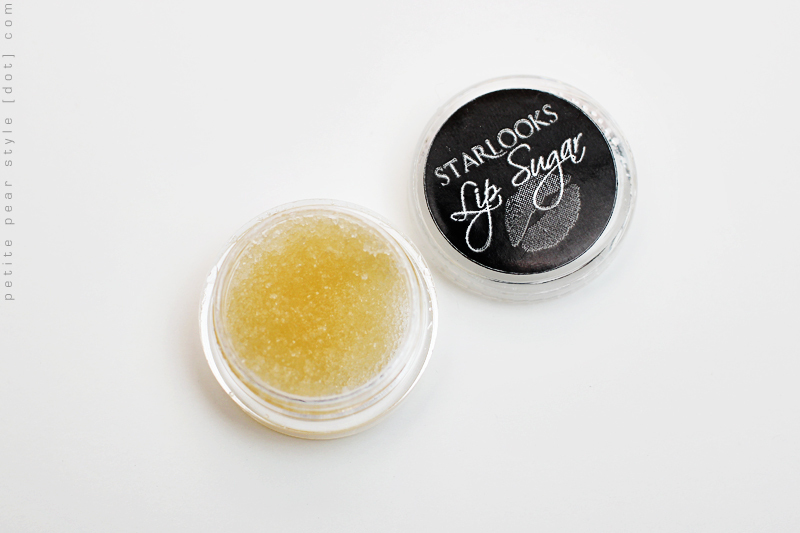 The product card included in the Starbox states that this is an all natural lip sugar but there are no ingredients specified anywhere. I also looked online as there is a link included on the card but the lip sugar is not yet available on the Starlooks website. 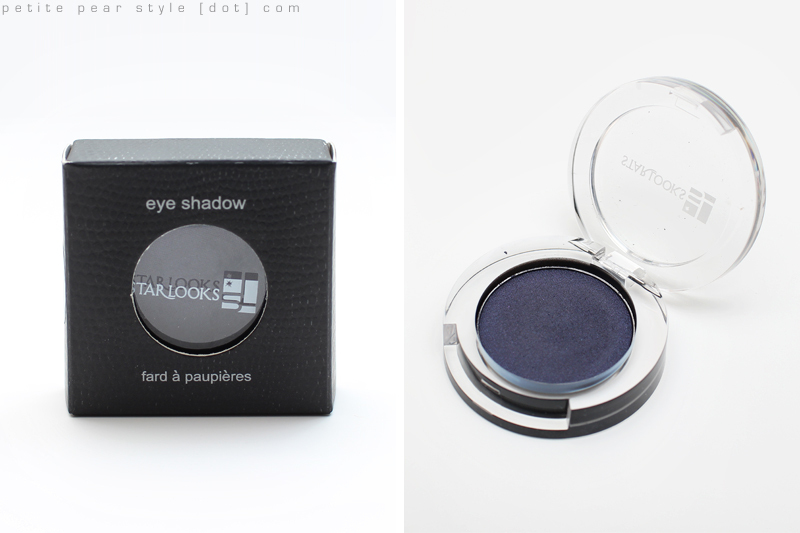 This is a very pretty navy blue eye shadow that looks close to black when on the eyes. It is very smoky and I think I will be getting a lot of use out of this shade. The product card indicates that there is a "touch of sparkle" in this eye shadow but I would describe it more as a satin finish. 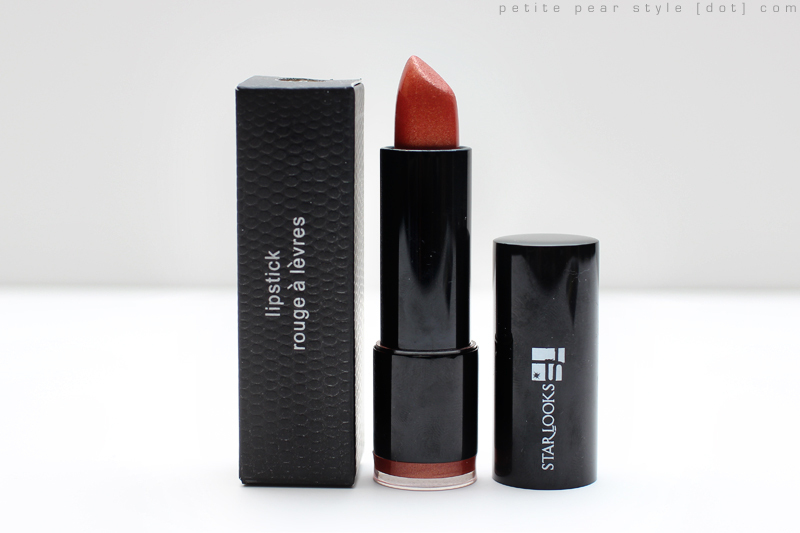 The Starlooks website, however, includes this shade in the matte collection. This is a frost lipstick that has an orange tinge to it but when swatched, it is a really pretty rose gold shade. It doesn't seem as drying as other frost lipsticks. Once applied, the frost doesn't seem too apparent so this lipstick does not have a dated look as some frost lipsticks do. This is not a shade or a finish I would ever pick for myself but once I put this on, I thought it worked pretty well on my skin tone. 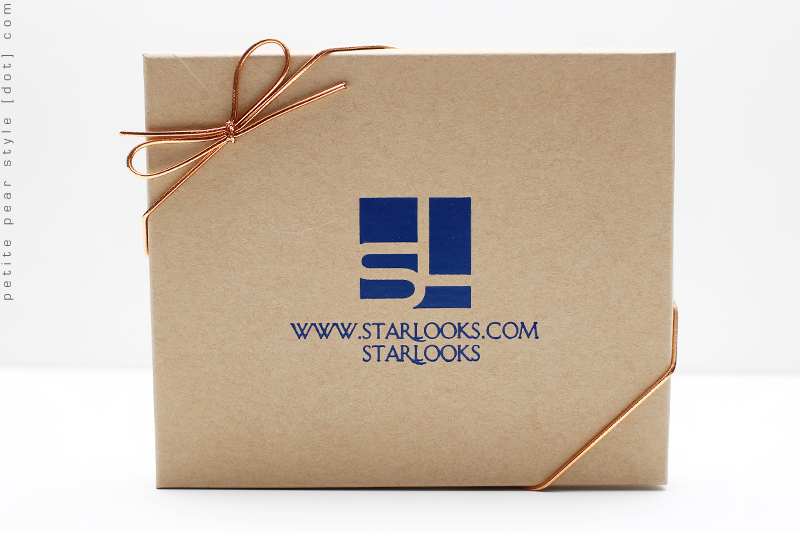 I am constantly pleasantly surprised by the products chosen for us by Starlooks. They definitely push me out of my comfort zone and I think that's a good thing. That being said, this is probably not a shade I would reach for often as I love my nudes for day to day. 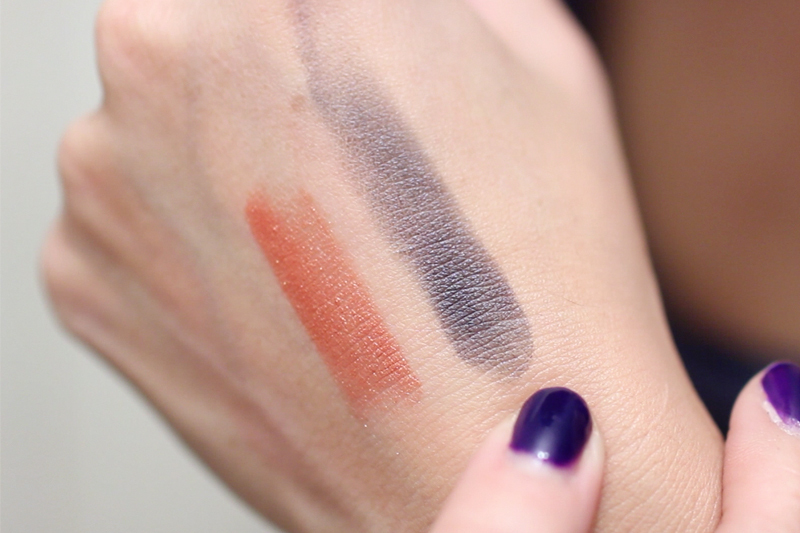 Here are the swatches of the eye shadow in Disarray and the lipstick in Flutter. 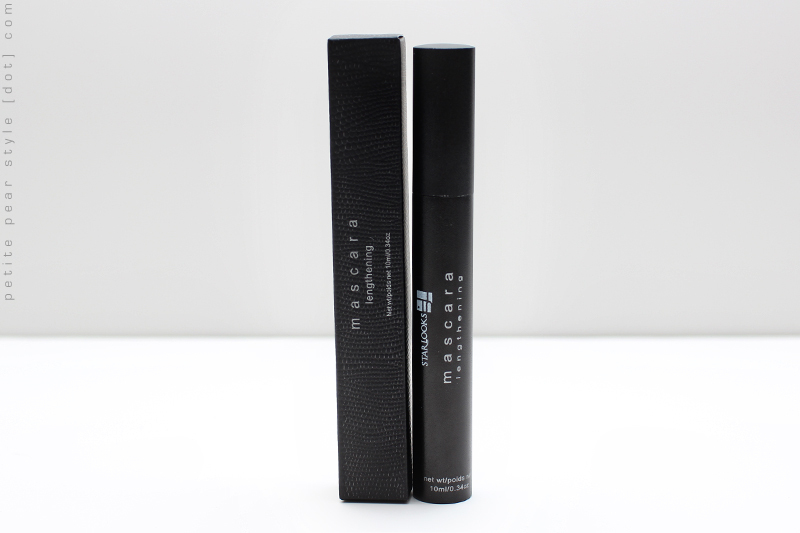 There was a lot of hype about this product so I was happy to receive it in my Starbox this month... even though I have a TON of mascara I still need to use up. The tube is extremely heavy duty and made of a matte black metal. I am excited to try this product and I may be bumping this up my mascara line so I can use this next. Last month, I mentioned that Starlooks implemented a rotation system for the types of products that will be sent out (MIXED - BOLD - NEUTRALS). The March box was a MIXED box (I thought it would be NEUTRALS) but Starlooks has actually nixed this rotation as there was some negative feedback from subscribers. Overall, I liked the contents of this Starbox but not sure how long I will be keeping this subscription as the price of the box has increased due to international shipping charges. The price of the box has remained unchanged at $15; however, the international shipping fee is now $7. Did you receive a Starbox this month? What did you think of the products? Note: Canadians who wish to subscribe to Starbox have to contact the company directly to get set up. I signed up by filling out the information on the contact form and a representative got back to me very quickly. I asked them to call me and I gave them my credit card information over the phone. Note: I paid for the March Starbox with my own money. Do you have a hair tutorial video? Your hair buns look so perfect! I was thinking about subscribing but with the shipping cost increase for Canadians, I don't know if it's worth it... I'll keep watching and reading your reviews to make up my mind, but it seems to be a box with very few bad surprises for now. I e-mailed them about their price increase because of shipping, and they told me that if I paid upfront for 6 or 12 months, they'd keep my current canadian subscription rate, so that's what I did. I'm sure they'd extend you the offer as well if you asked! of course I don't mind! I think their customer service is really great and they obviously want to keep their subscribers!